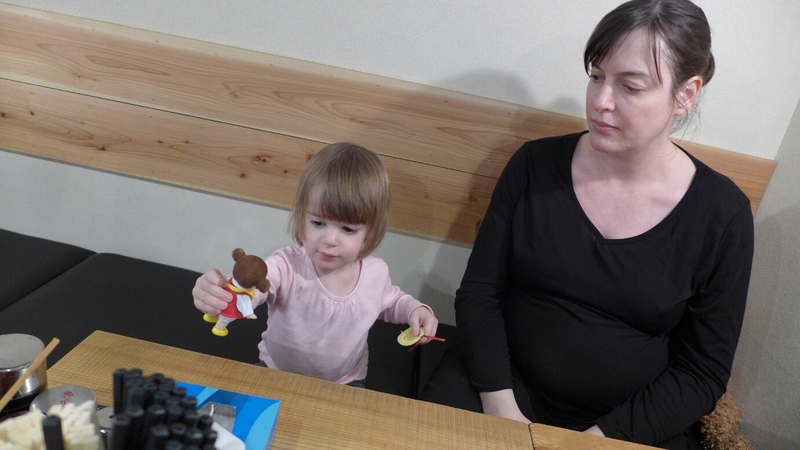 But when we did get back to Ginza we did need to think about dinner. 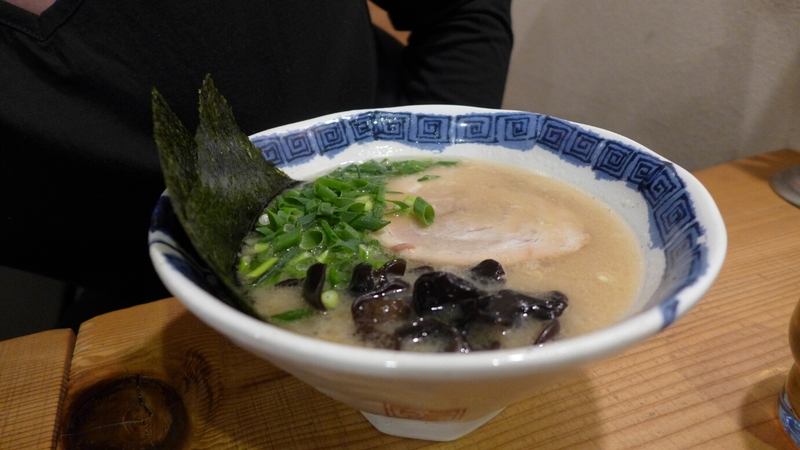 We were tired and not that hungry so we decided to skip looking for a Michelin starred feast and get something simple. 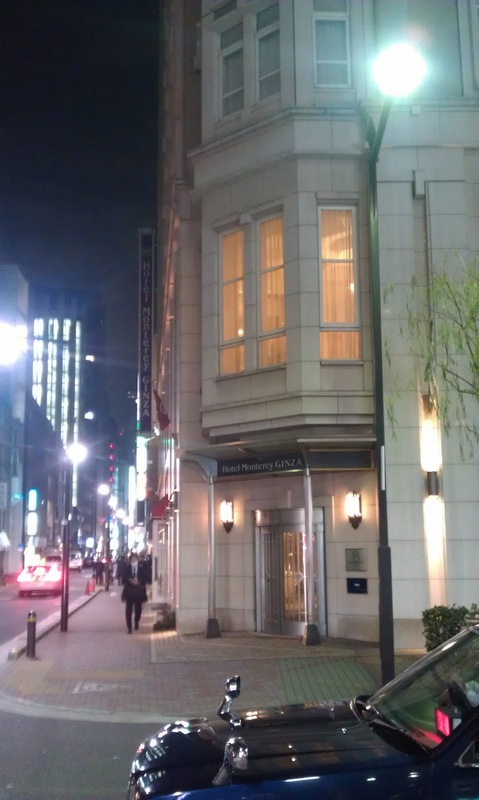 We wandered up and down a few streets close to our hotel looking for something. We found Shiryu about a block away. 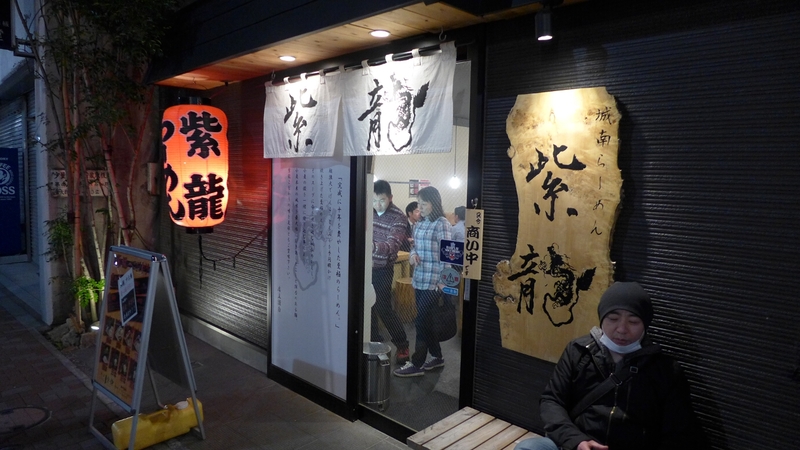 Similar to Bonten Ginza from the other night this was a small local Soba and Ramen joint. 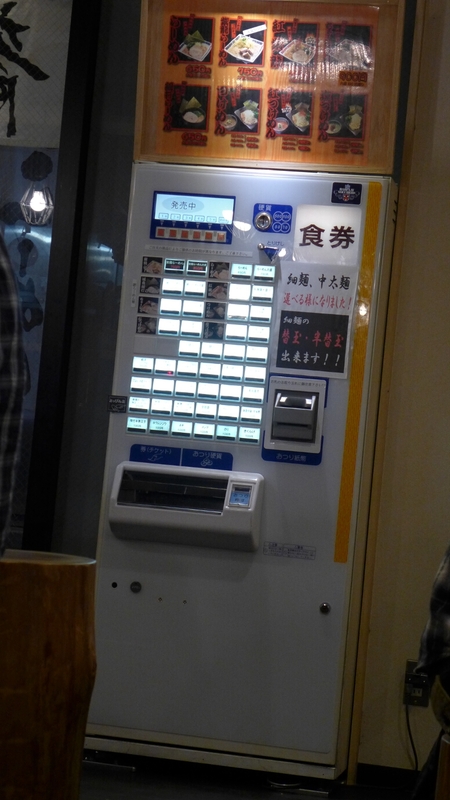 Shiryu though has a vending machine near the front door with everything they served pictured or labelled on the machine. 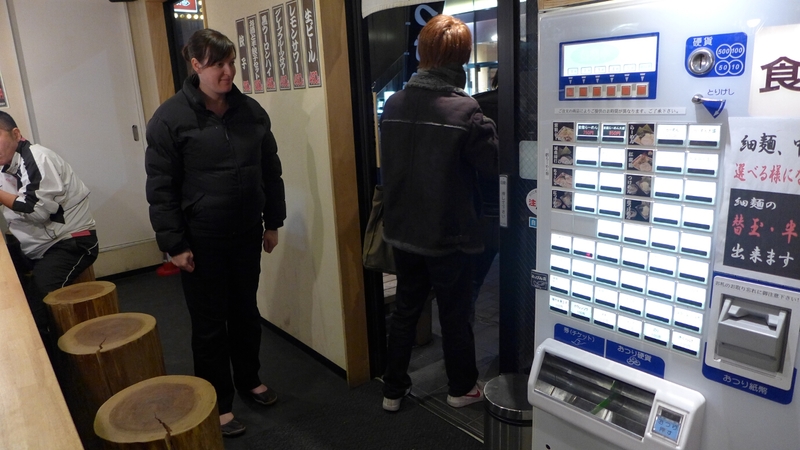 You insert your money, make a selection and when the ticket is printed out you hand it over the counter to the cook. I suppose this is to avoid having to deal with money. One of the servers/cooks helped us with our selection though. 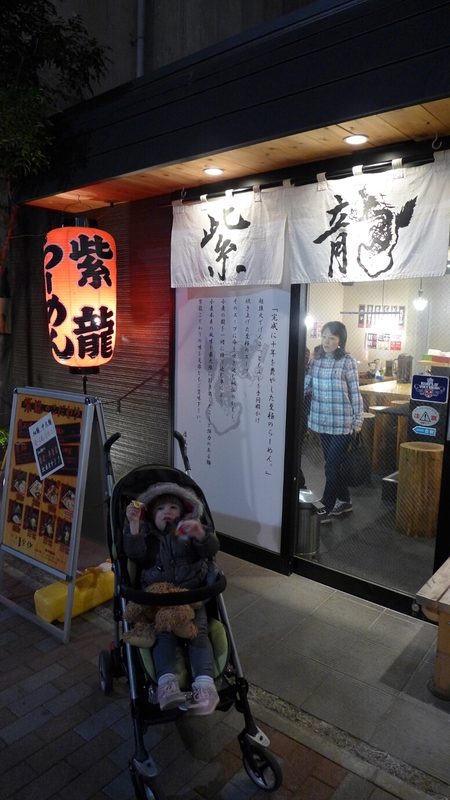 I ordered the Soba and Michelle the Ramen. As usual we were going to share with Georgia. 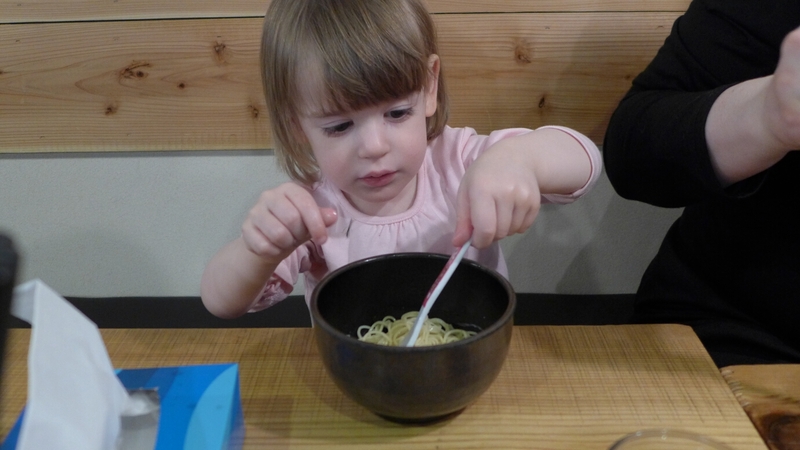 Whatever we ordered for her she always liked our noodles. For something so cheap and ordered via a vending machine these noodles were again delicious. 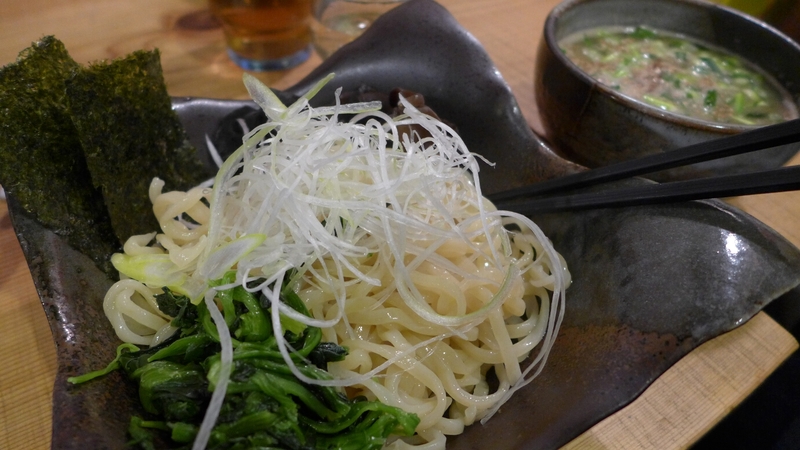 I've never had soba or ramen as good as from either of the two places we'd been to in Ginza. 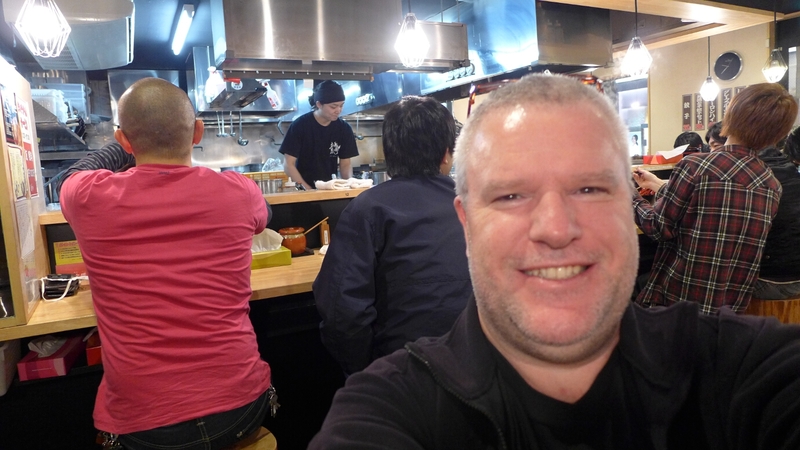 It will be interesting to see if we can get a decent ramen back in Sydney. For places that look kid unfriendly they always seem to be able to dig out special spoons and bowls for Georgia. This time, I think, it was Disney characters. Another day was done. 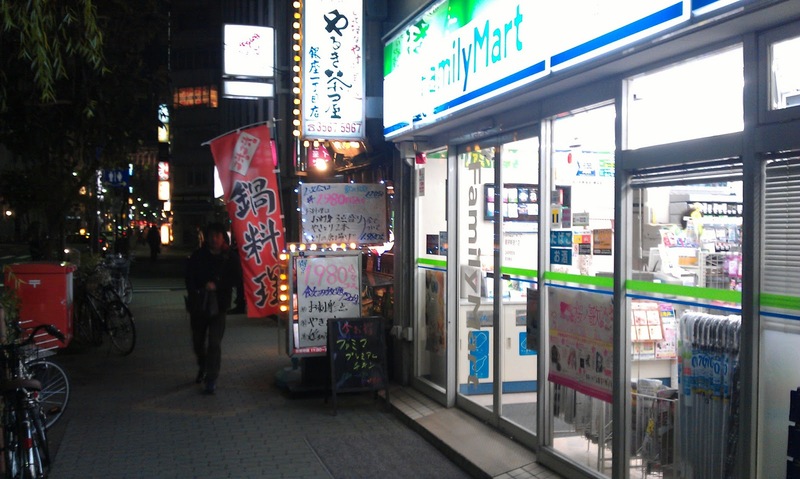 All that is left to do is drop into Family Mart or Lawson pick up some milk and yoghurt for Georgia.